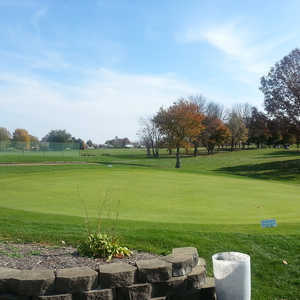 Clearview Golf Club of East Canton, Ohio, believed to be the only golf course in the United States designed, built, owned and managed by an African-American, has earned a berth on the National Register of Historic Places. Founded by PGA Life Member William J. Powell, Clearview is one of 14 golf courses on the National Register. Founded by PGA Life Member William J. Powell, Clearview Golf Club is one of 14 golf courses on the National Register, according to the National Park Service. The PGA of America, as announced in September 1999, initiated the lead in renovating the historic club. 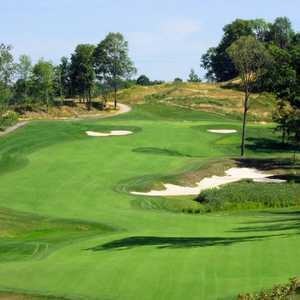 "The PGA of America joins all golf enthusiasts of Ohio in saluting Clearview Golf Club and the William Powell family on this honor," said PGA of America President Jack Connelly. 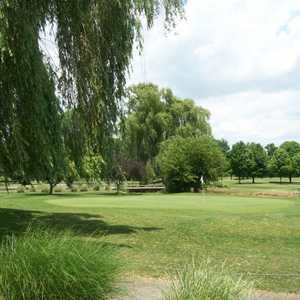 "Clearview Golf Club has evolved along with the game of golf. Having the course listed on the National Register of Historic Places perpetuates the Powell legacy. The PGA is pleased to be part of this significant part of American history." Powell, 84, founded Clearview Golf Club in 1946. The first nine holes opened in 1948 on what used to be a dairy farm. Currently, two of Powell's children are actively involved in the day-to-day operations at Clearview. His daughter, Renee Powell, a PGA member, serves as the club's head professional and is founder of the Renee Powell Youth Golf Program. His son, Lawrence Powell, is the course superintendent and a member of the Golf Course Superintendents Association of America. The Powells were honored March 20 in Canton at a dinner hosted by the Stark County Planning Commission. Ohio Governor Bob Taft sent a personal letter and proclamation. "I think it's quite incredible," Renee Powell said of the National Register of Historic Places designation. "It shows what my parents contributed to American history." The Ohio Legislative Black Caucus recognized William Powell in 1999 for his service to his state and country. Also that year, the First Tee Program named the Life Skills Scholarship in his honor. Powell also has been awarded the Cornerstone of Freedom Award from the Dr. Martin Luther King Jr. Commission. The National Golf Foundation named the William Powell family the recipient of the Jack Nicklaus Golf Family of the Year Award in 1992. Renee Powell said current renovations at Clearview Golf Club include installing an automatic irrigation system and extending the course from its current 5,900-yard, par-69 configuration to a 6,300-yard, par-72 layout. "We are excited about the attention we have received and our plans to continue to upgrade the course," she said. Clearview Golf Club is one of three National Register courses in Ohio. Scioto Country Club of Columbus was selected in 1985, and Inverness Club of Toledo was selected in 1993. Shake the hand that shook the hand ... of Mr. Powell. When he smiled and offered his hand, I knew I was up close and personal with more than golf: Mr. Powell and his family are first, important contributors to American history and second, important contributors to the history and legends of golf. His daughter, Renee, played the LPGA and is a wonderful teacher. If there's a heaven, Mr. Powell is teeing it up, his wife watching. And his wonderful kids will one day join him. I was impressed by the article I read in the International Herald Tribune this morning. I wish you all the best and should I vsit the U.S. again, I will try and see if I can swing by Ohio and play at your golf club. I read of your golf course years ago inEbony magazine. You can not keep a good man down.